“What a man doesn’t understand, he does not possess.” This is one of Goethe’s great maxims and it captures well the problems faced by organizations that handle a lot of data. Information in and of itself is not valuable if one cannot find it or understand it. Even worse, people may not even know they have certain information at their disposal. An increasingly popular way to address these issues is by building “ontologies”—a formal representation of concepts and categories in a domain that shows their properties and the relationships between them. Ontologies are often displayed as a graph, with nodes representing the concepts and categories and the edges how they are connected. Depending on what domains interest you and how you seek to capture knowledge, they can range from small and simple to large and intricate. The key is to have your ontology be usable and suited to your purpose. Examples of a simple generic ontology and a highly complex one for energy efficiency in urban planning. Ontologies are an effective way to catalogue knowledge, and to share, reuse, and analyze information because they standardize how information is documented. A well-crafted ontology has numerous benefits, such as revealing resource gaps or the need for process improvements. They can also help to improve operations, for example, by providing insight needed to streamline manufacturing processes at an automobile manufacturing plant or improving loan approval procedures at a bank. We can also use ontologies to make domain assumptions explicit. This is important because it allows us to separate information into what we know versus what we think. Sound analysis and decision making depend on being aware of, and understanding that difference. Taking it a step further, ontologies can help us identify those assumptions that are key—assumptions that if wrong, are fatal to our analyses, and by extension, the endeavour the ontology is supporting. Any domain can be codified in an ontology. It could be wine, bicycles, or biomedicine. A well-crafted ontology can be of benefit to any area of human knowledge, no matter how common or esoteric. So why are ontologies still relatively rare? The biggest hurdle to designing, building and maintaining ontologies is the time—and often subject matter expertise—required to do so. At Kyndi, we help people create and realize value from knowledge faster with our approach to automated ontology generation. Our sophisticated algorithms extract information from text to build what we call “proto-ontologies.” Any user of our software, not just subject matter experts, can create the foundation for a proper ontology in a matter of hours, starting with as few as a couple dozen text examples of the domain. If human experts tried to accomplish this by hand, it could take months to accomplish. 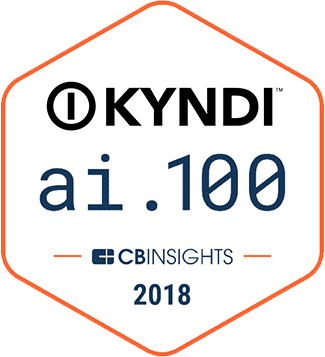 By breaking down the barrier of time, Kyndi’s solutions makes the usefulness of ontologies accessible to any organization. Please contact us to learn more about how Kyndi can help you maximize the power of your data. You can also connect with us on Twitter and LinkedIn.